As the government increases its focus on electric vehicles, major players in the automobile industry viz Tata Motors and Mahindra and Mahindra, have continued to lead the upscaling process of their products. The companies are now working to introduce electric powertrains. In a report, Livemint quoted people familiar with the matter as stating that Tata Motors is working on an electric model of its light commercial vehicle (LCV), Tata Ace, that can carry up to 1 tonne. At the same time, Mahindra and Mahindra is also working to develop its electric powertrain for its offerings in the sub 2-tonne segment. According to the reports, the rationale behind the electric powertrains is the idea to use these for transporting goods within a city or a town. And therefore, a single charge would be enough to operate them throughout the day, unlike other electric buses and vehicles. Tata Motors’ Ace and Mahindra and Mahindra’s Jeeto are used to move freight within cities. Therefore, it is suggested that, with electric powertrains, these vehicles can be used by fleet owners as operational cost will be much lower. The acquisition cost is also expected to come down as reports have surfaced that under FAME II. 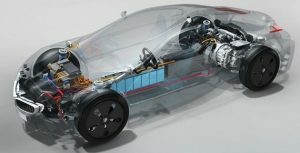 The companies are counting on this benefit to introduce their electric powertrain and expect that the electric powertrain in the LCV segment will get a lot of traction in the market. However, one of the persons quoted above stressed on the importance of pricing “since one section of the users are first-time customers and getting the vehicle financed is a problem initially”.